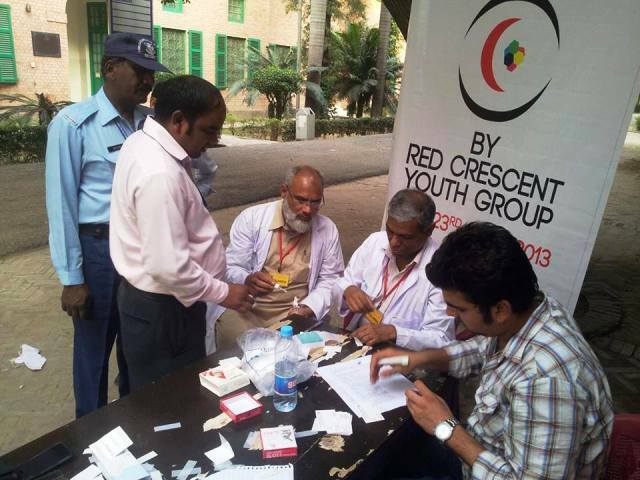 On 23 and 24 November 2013, Blood Services (a project of Red Crescent Youth Group) arranged a blood screening camp in collaboration with the Pakistan Red Crescent Society (PRCS). 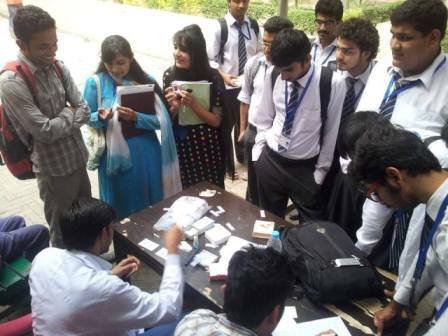 Camps were arranged all around the campus and almost 450 people, including students, staff and faculty came to know about their blood group. 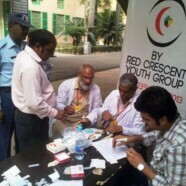 Many of them promised to donate blood if required to save a life. 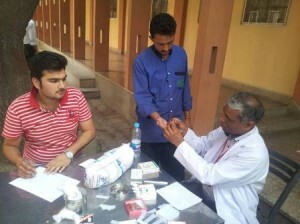 Usman Shaukat, Chief Coordinator, Blood Services said that it would be easy now to hold a blood donation drive in FCC.